A new walks competition initiative was started this year where a series of Walks events was held to promote and bring awareness to the sport. In total six series of walks was held at the scenic Marina Promontory and Olympic Walk area, the first in May and the last one just concluded last weekend. The competition saw the participation of 37 athletes, their ages ranging from as young as 13-years-old to 70-years-old. Mr. Goh Hor snatched the male best performer title. He dominated his 45-years and above age-group by finishing first in all the six walks series. While Ms. Annie Shu Ning, who was awarded female best performer title based on overall points scored in the Series, had a tougher competition in her category (40-years & above) as there were two other walkers close to matching her points accumulated. 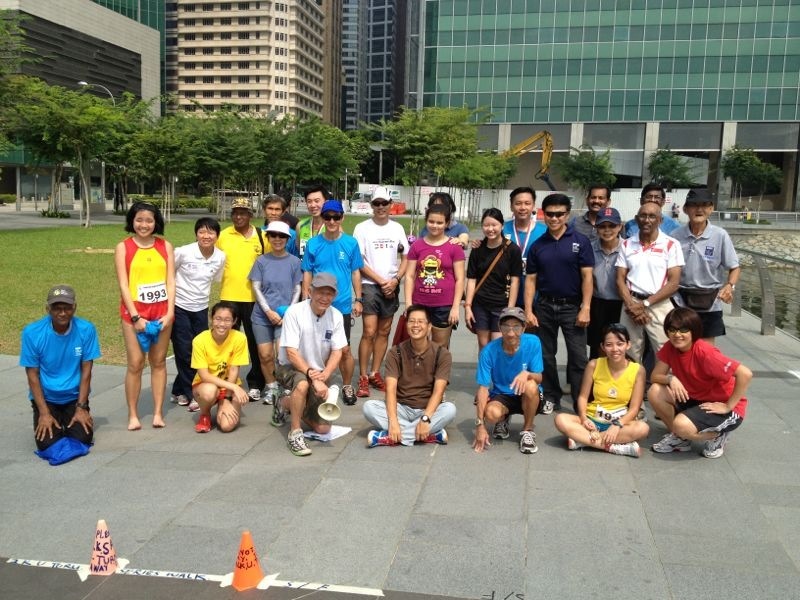 The future of the sport showed promise as there were a number of youth and junior walkers participation. Ms. Tin Shu Min from Hwa Chong Institution snagged ‘The Most Improved Walker’ award as she scored full marks with 125 points, finishing ahead of her field first in all the six series.